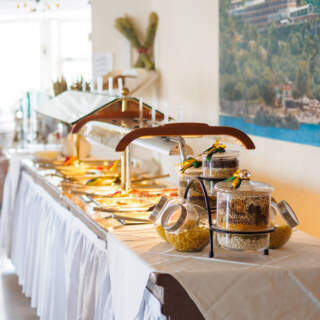 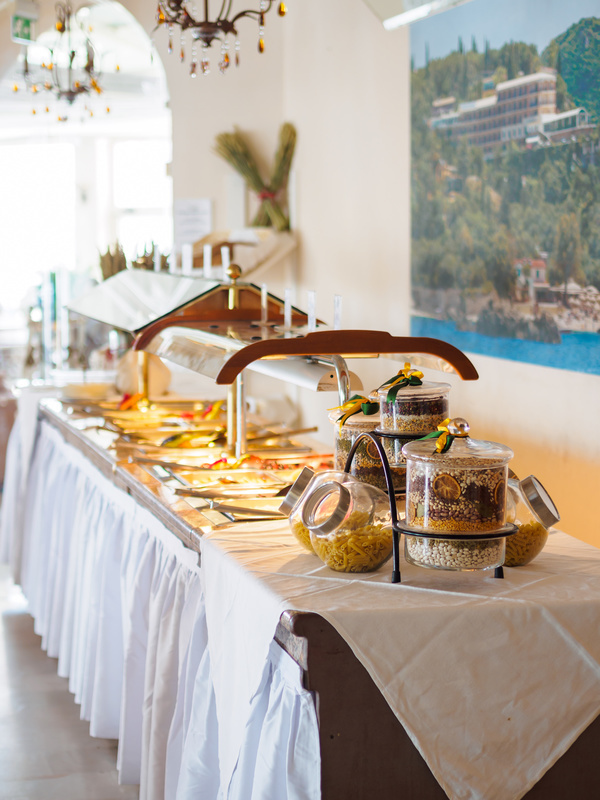 Greet each day with a healthy buffet style breakfast, featuring a wide range of hot and cold dishes to choose from. 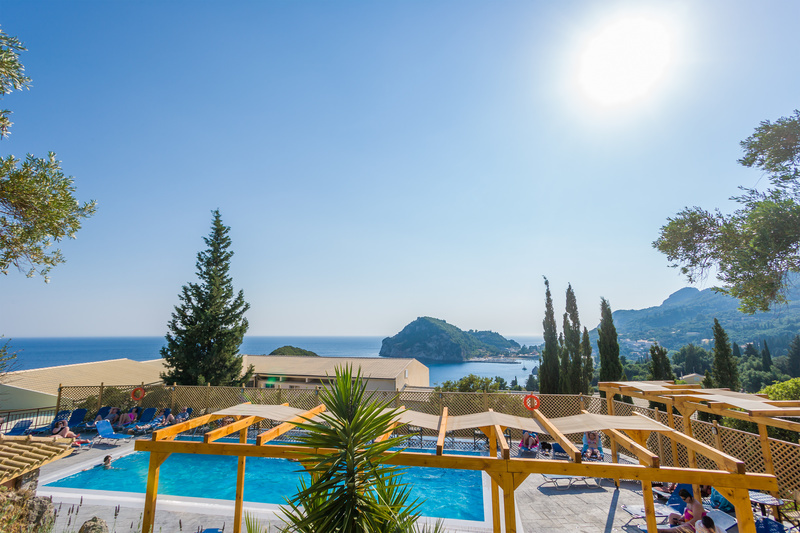 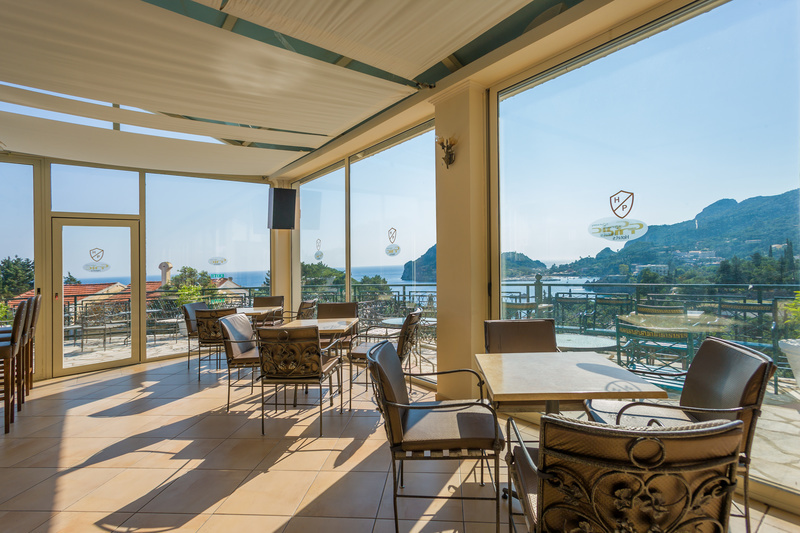 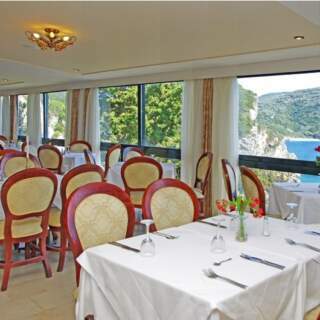 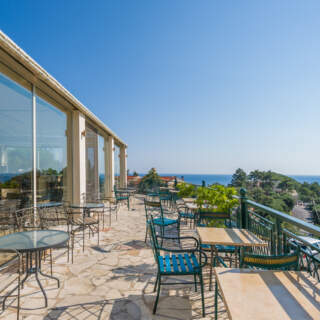 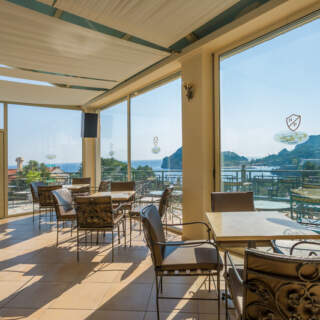 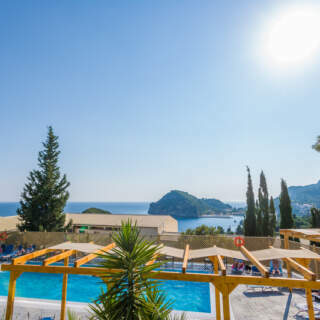 Enjoy your lunch and dinner (in 2 sittings) overlooking the magnificent views of the area and treat yourself from the large selection of buffet style Mediterranean dishes. 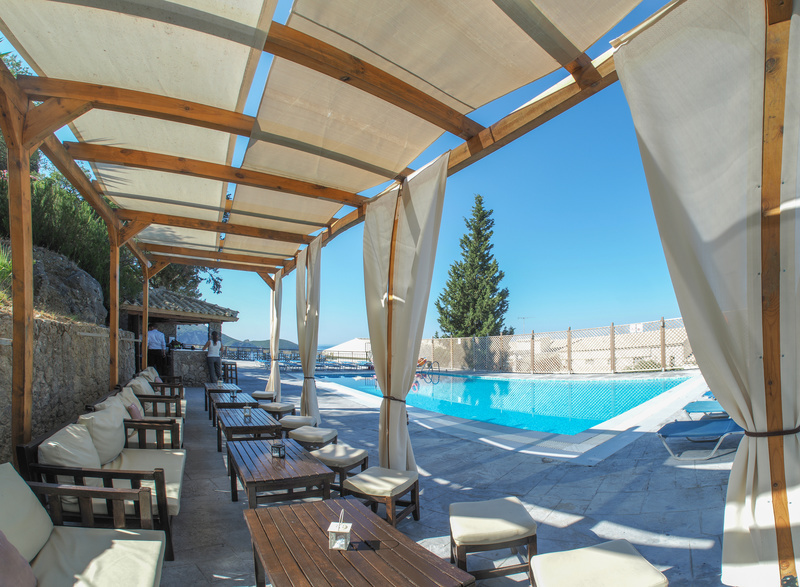 CNic Paleo ArtNouveau has an aristocratic bar and is the ideal spot for guest to chill out after an exhausting day. 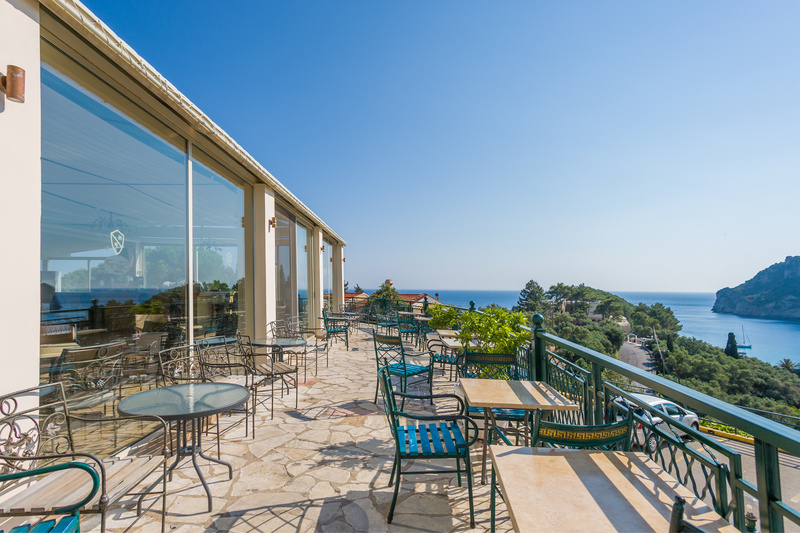 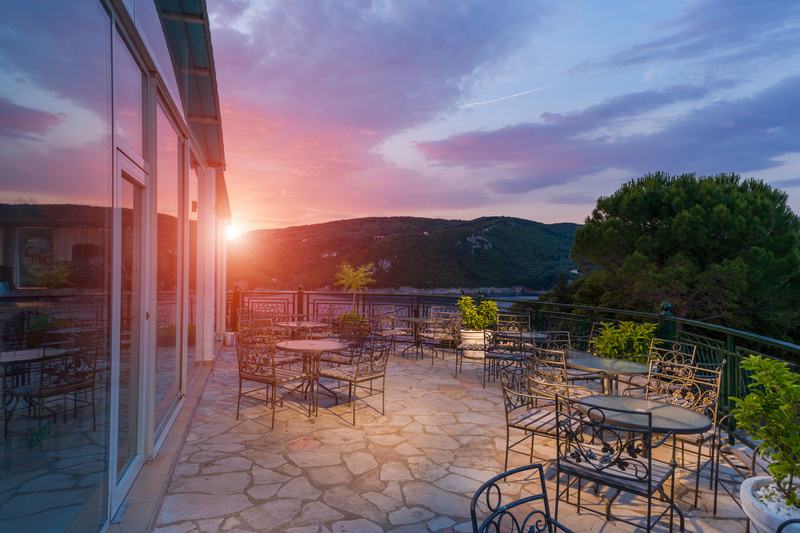 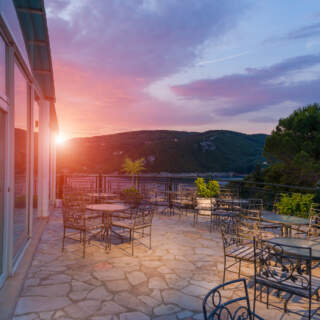 Guests can relax by the bar area and enjoy their drink and with overlooking the magnificent scenery and sunset. 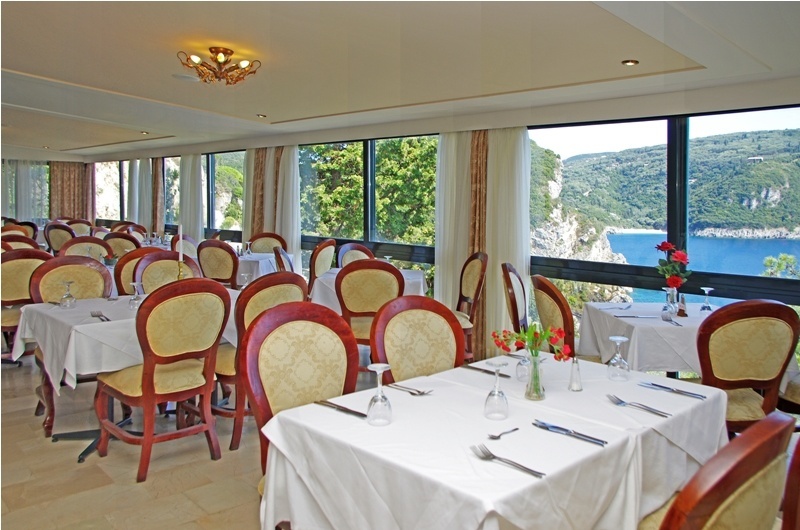 Breakfast may be served in the room (with extra charge).